Liposuction surgery is a popular approach designed for the permanent removal of fatty tissue, commonly referred to as "cellulite", especially in cases where surgeon finds no effective response to diet and exercise. These areas include the hips, thighs, abdomen, knees, ankles, face and neck. It’s most successful in people with good skin tone who have fatty deposits. Unlike a treatment for obesity, if weight gain occurs following liposuction, the fat will be deposited in areas that have not been treated. Major factors to account in Liposuction are physical condition, hormonal reasons, genetic makeup, diet habit, lack of exercise and other intoxication abuses. Results are recognizable almost immediately and will continue to improve as swelling subsides. Liposuction is done under general anesthesia/local with I.V.sedation in a hospital or our surgical center. The surgeon makes small (less than 1/2 cm. ), discreet incisions in the areas to be treated. Tumescent fluid is injected into the area to be addressed and after waiting for a specific amount of time, a cannula is inserted in a small incision and attached to a suction machine. The procedure may take an hour or more, depending on how many areas are involved. The results of liposuction are permanent. If you were to gain a large amount of weight you might note rippling in the treated areas, depending on your skin elasticity. You will be discharged the same day in evening. Moreover, you should be up and walking around after 48 hours. You can start your routine exercise after one week. In this phase you need to be prepared for ordinary bruising, scar or swelling. You might also experience some numbness, which will gradually subside . Increase your activity daily until full activity is resumed at 1-2 weeks. You will be ready to return to office work in 3-5 days and more active employment at 10-14 days. Some offices use different names which mean the same thing. You may hear words such as "lipoplasty" "liposuction" or "suction lipectomy" -- they all mean the same thing. Procedure can be eased by help of VAL, UAL and power liposuction. Can liposuction be used as a weight loss method? No, liposuction is used to get rid of isolated areas of fat which are diet and/or exercise resistant. Weight loss is achieved as the fat removed does have mass. The best candidates for liposuction are people at their normal weight who have isolated areas of fat. Firm, elastic skin allows for a better outcome. The patient’s age is not a factor. However, older patients have less skin elasticity and may not achieve the same results as younger patients. How long do I need to be off of work? It is suggested that you take off of work for 3-5 days after surgery but continue to avoid strenuous activity for three weeks after surgery. When can I get back to my normal routine? Each patient differs with recovery times. Also, the recovery time will vary depending on how much liposuction was performed. Most patients are able to return to work 2-7 days after surgery depending on the areas treated. The doctor will assess each patient and discuss returning to their exercise regimen. We highly recommend walking within the first couple of days - this helps with the swelling, constipation, etc. Depending on the areas treated, most patients are able to resume exercise 1-2 weeks after the procedure. Anything I can do to decrease the swelling? Most of our patients find that walking helps decrease the swelling after liposuction surgery. Will the fat return to the area that was treated? If after liposuction surgery one does not eat healthy and exercise regularly, the fat cells that remain in the treated area can swell. The fat cells that have been removed are gone forever. Liposuction is not meant to be used as a weight loss program. Can I do multiple areas at the same time? Yes. The doctor will discuss what procedures may be performed at the same time while still being safe. Many patients will opt to have liposuction and breast augmentation surgery OR liposuction and tummy tuck surgery at the same time. 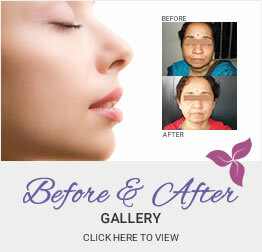 Combination surgeries can give dramatic results. Will I be wearing any special garments after the surgery? Yes. When you wake up after the procedure, a garment will be on the treated areas. This compressive garment is there to assist in the healing process and to decrease the amount of swelling. The doctor will discuss the amount of time you will need to wear the garment - depending on what areas are treated.